We got to have Brian here for a while this summer. Now he is moving on to the next adventure, but he won't be as far away this time. 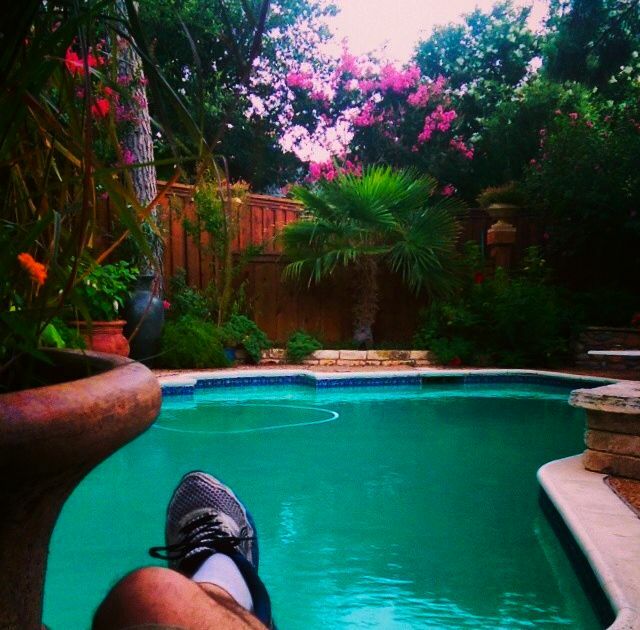 Here is a picture Brian took from his perspective of P&B Garden after he cleaned the pool. We loved having you home, Brian ! !